Load up your personal music collection and mix your favorite tracks using two accurately recreated vinyl turntables and a fully-featured 2-channel DJ mixer. 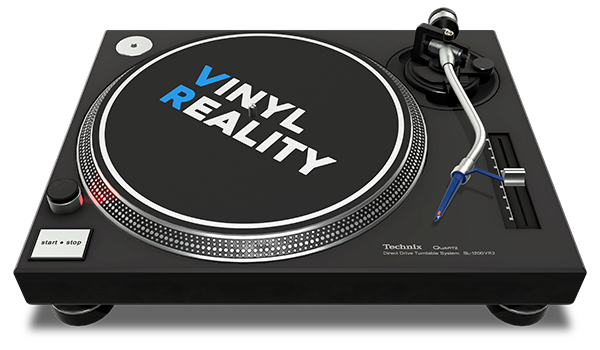 Two accurately modeled turntables with realistic and intuitive motion controls. Fully-featured 2-channel DJ mixer with per channel EQ, PFL and gain. Browse and load your personal music collection. Support for all common audio file formats: mp3, flac, wav, ogg, aif, aiff and wma. Unique and hands-free virtual headphones system to preview cued channels. Separate master audio output for live streams or performances. DJ workstation with adjustable height and angle, for improved comfort. Optional BPM (Beats per Minute) displays for beginners. Every knob, button and fader, on both the turntables and mixer, has been carefully replicated to look, feel and behave like their real-world counterparts. 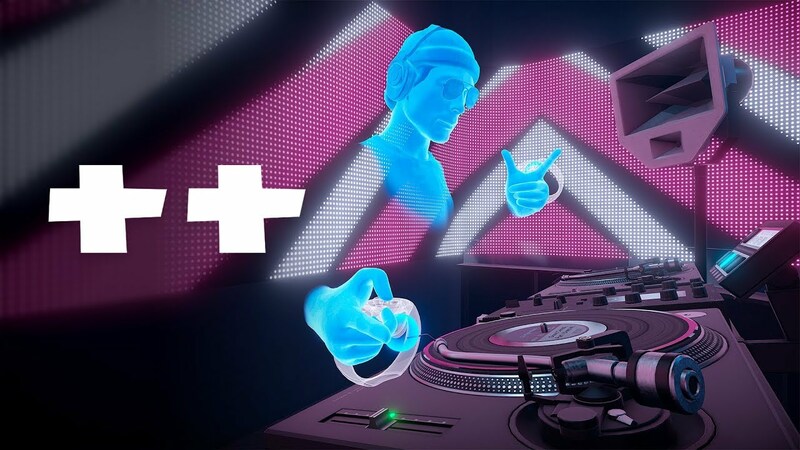 For users new to DJing, this means the skills they learn can also be applied outside of virtual reality. For more experienced DJs it ensures the application is both straightforward and intuitive. Record or live stream your DJ sets from the recording studio or underground club environment and share them online. Switch between different camera perspectives to make your videos more interesting and engaging for your audience. Be sure to check out the YouTube playlist with a selection of user created mixes. 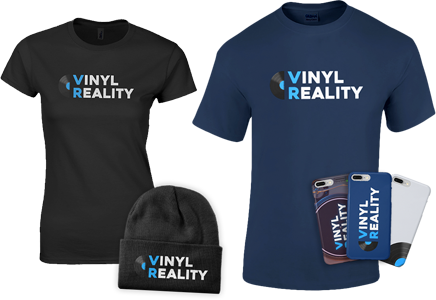 Buy Vinyl Reality merchandise from our online store! 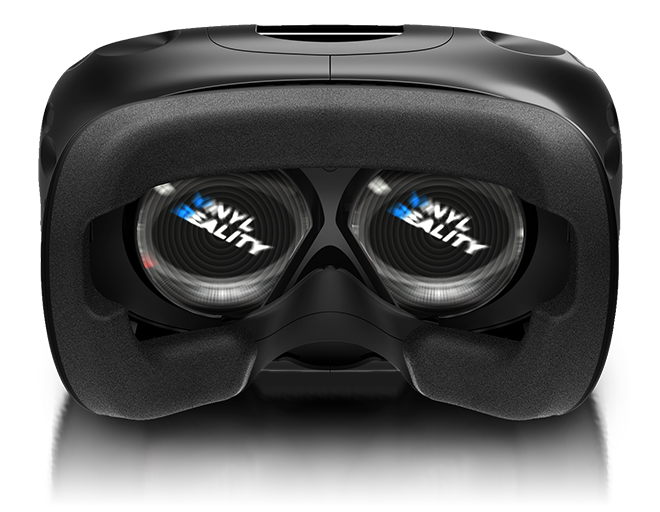 Sign up to receive the latest Vinyl Reality updates and news.